What’s the fastest way into consumers’ homes and hearts? In the 1930s and ‘40s, it was through their radio. 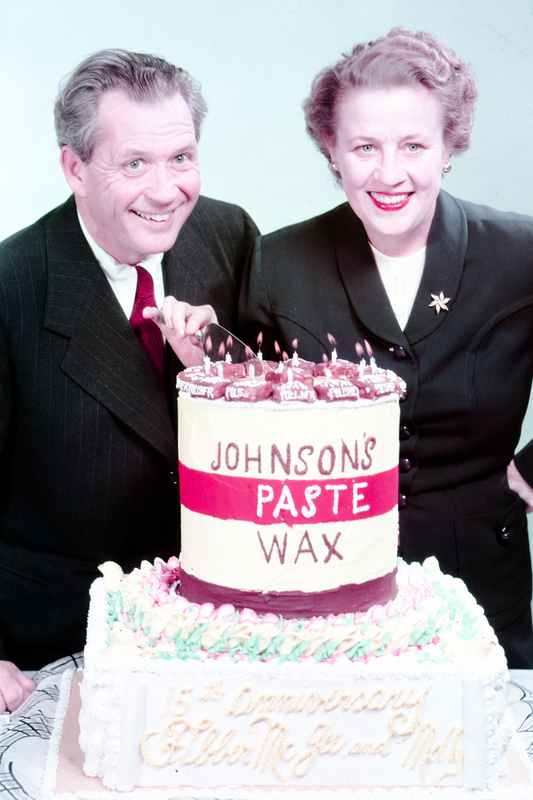 Long before many companies discovered national advertising as the wave of the future, SC Johnson sponsored the popular radio program, “Fibber McGee and Molly.” In its heyday of the 1930s and ‘40s, the long-running radio hit reached up to 20 million listeners a week and helped make us a household name. 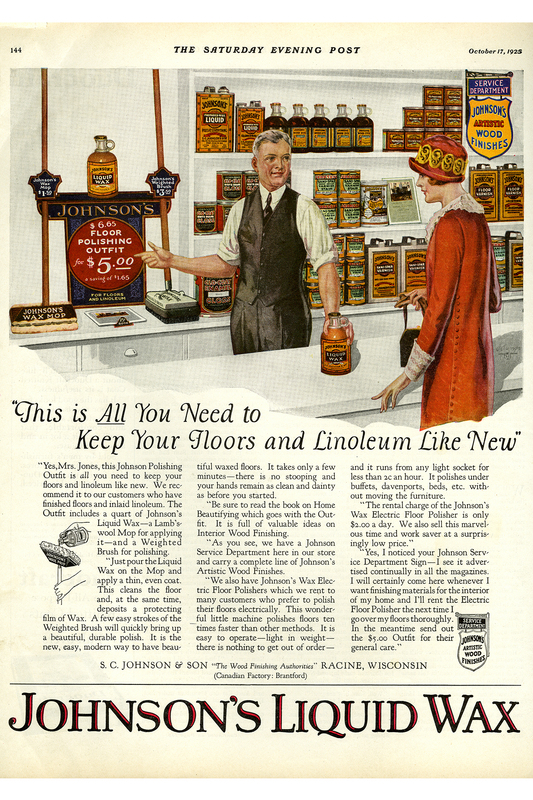 Our first magazine advertisement appeared in Century magazine and touted the company’s parquet flooring. By 1925, the advertising budget was nearly a million dollars, focusing on full-color pages in magazines like Ladies’ Home Journal, Women’s Home Companion, McCalls and Good Housekeeping. Hear “Fibber McGee and Molly,” the SC Johnson-sponsored hit radio program that provided laughs and comfort to millions of Americans. Our introduction to radio began in 1931, sponsoring one of the most popular bands of the era, the Ted Weems Orchestra. Next came the “Johnson’s Daily Radio Guide,” a 10-minute daily program of household hints. Then in 1934, two executives heard about a local program on Chicago’s NBC station called “Smackout.” It featured real-life married couple Marion and Jim Jordan. Adding writer Don Quinn, the “Fibber McGee and Molly” show began development. This primetime situation comedy followed the adventures of a working-class couple — the perpetual storyteller Fibber McGee and his wife Molly. Most of the episodes took place in their home in Wistful Vista. 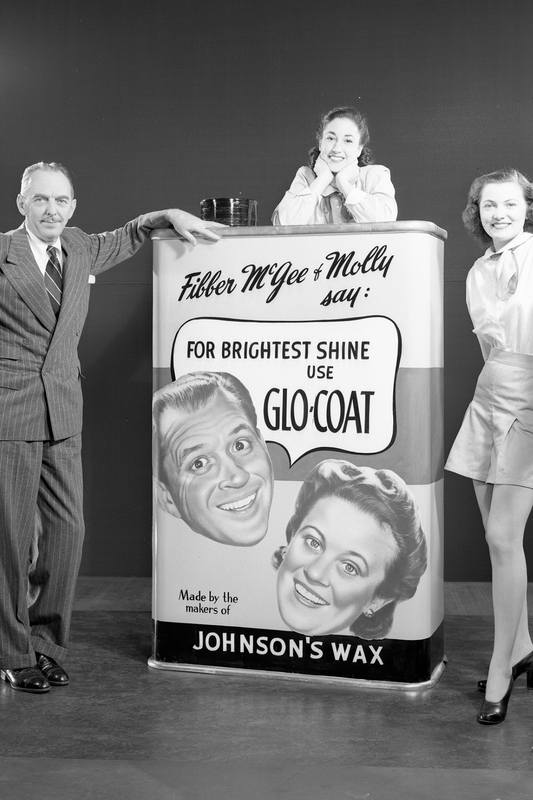 SC Johnson sponsored “Fibber McGee and Molly” for 15 years, introducing families to many of our products including one of our greatest early successes. 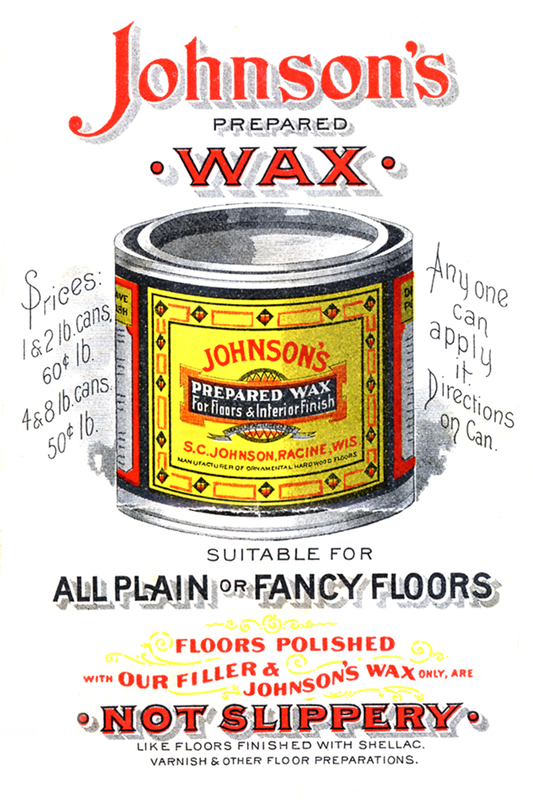 Glo-Coat™ self-polishing floor wax launched in 1932, and was a key focus of the radio program’s ads. With the Great Depression underway, few companies were spending advertising dollars to support new products. But H.F. believed that if a product was truly superior, it could thrive even in the most difficult economic times.